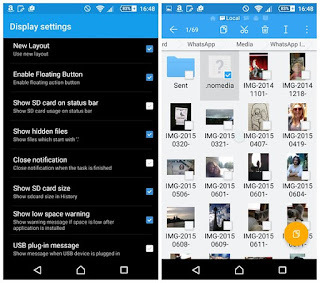 Home Whatsapp Hide Whatsapp Photos And Videos From Gallery. Hey Friends wassup...!! How you doing..? 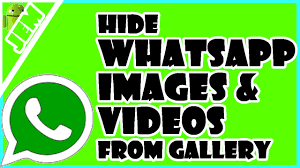 Do you wanna know how to hide whatsapp photos and videos from gallery then you are at perfect place. 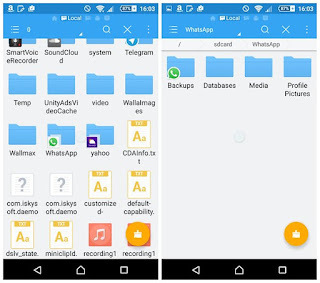 Today I'm gonna give you a Step by step guide on this pretty hot topic so that you can hide whatsapp images and videos from phone gallery no matter it is android or iphone, this trick works on both. 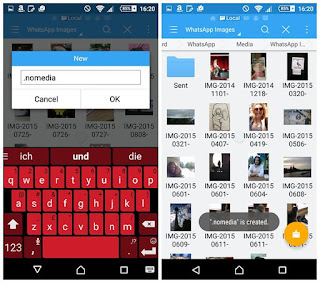 I will give you two methods to hide whatsapp images from gallery. Choose any one which you think more easy according to you and yeah we don't have to root our phone to hide whatsapp media. So let's directly come to the point how to hide whatsapp photos and videos from gallery..
You may also like "Use Multiple Whatsapp Account In One Phone". 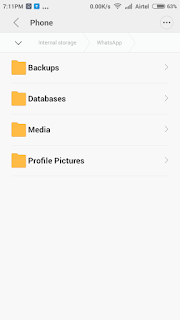 Step 1 :- First of all open 'File explorer' app on your phone. 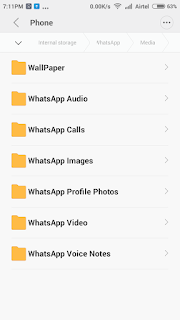 Step 2 :- Now you'll see a folder (in phone memory) named as 'Whatsapp', just click on this folder. Step 3 :- Now you will see a 'Media' folder click on this. 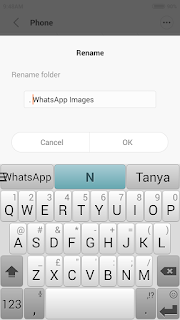 Step 4 :-Now again you will see a folder named as 'Whatsapp Images', select it and just rename it. Step 5 :- Rename this 'Whatsapp Images' folder to ".Whatsapp Images" , we just have to add a dot (.) before Whatsapp Images and tap on 'Ok' button. Clear your whatsapp cache and then restart your phone thats all. Now you have successfully learned how to hide whatsapp images and videos from gallery with this dot method. 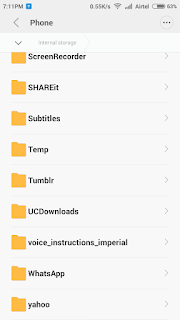 You may also like "Find Last Shutdown Time Of Your Pc"
Step 1 :- First of all open your phone's 'File Manager' app. Step 2 :- Now just scroll down untill you foud a folder named as 'Whatsapp' most likes on your sd card. Now open that whatsapp folder and then click on 'Media' folder. Step 3 :- Now just click or open the 'Whatsapp images' folder. Step 4 :- Now you just have to click on the three dots button on the top right corner and then click on 'File' option. Step 5 :- Now it will ask you to enter a name just type ".nomedia" yeah its a dot before nomedia then click on 'Ok'. Now you'll see a popup says .nomedia is created. Step 6 :- And thats all just go to your phone gallery and check that your whatsapp folder is completely hidden. If you still see your whatsapp images and videos then you have to do few more steps to hide whatsapp photos and videos from phone gallery. You may also like "How to lock your computer with a USB drive". Step 7 :- You just have to go on settings then go to app manager and then tap on gallery or album and then clear cache. 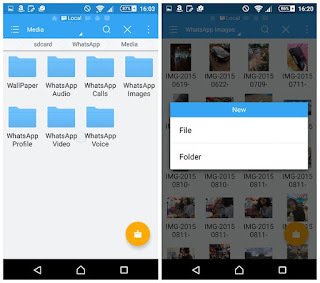 Step 8 :- Now if you wanna do unhide your whatsapp images and videos then just again go to whatsapp folder and then delete that .nomedia file. Step 9 :- If you can't able to see that .nomedia file then just go to your settinga and then choose display settings now scroll down untill you find that option say 'Show hidden files' just tick or choose this option. Step 10 :- Now you'll able you see that hidden .nomedia file in your whatsapp folder. Just go and delete that .nomedia file and yeah then you can see your hidden whatsapp images and videos. You may also like "How to recover deleted whatsapp messages"
So now you have successfully learned how to hide whatsapp images and videos. If you are having any problem in any step them comment bellow and trust me I'll be glad to help you. Have a glimpse at the weblink about flexispy app. If you ever wanted to spy on someone - this app is for you.